When to use Text-to-911 Text-to-911 is designed for situations where you cannot safely speak openly on the phone, such as a home invasion, active assailant, or domestic violence incident. Call if you can, text if you can't! Placing a voice call to 9-1-1 is still the best way to report an emergency. Our Telecommunicators can get vital information more quickly during a verbal conversation. Just like 9-1-1 calls, texts should only be sent to 9-1-1 during actual emergencies. Text-to-911 is considered an emergency reporting system under Wyoming statute 6-5-212. False reporting via Text-to-911 or abuse of Text-to-911 are both subject to the same penalties as a voice call! The wireless carriers currently providing Text-to-911 service to their customers in Laramie County are; Union Wireless, Verizon Wireless, AT&T, Viaero Wireless, T-Mobile, and Sprint. Text-to-911 is not available when your cell phone is in roaming. Your text message will be delivered to one of our Telecommunicators through our 9-1-1 handling system and will "ring" to them as if it were a phone call. The Telecommunicator will reply to you via text message. Be sure to silence your phone if staying silent is paramount to your safety. If your text message fails to go through to 9-1-1 or your carrier does not provide TEXT-TO-911, you will receive a bounce-back message that contains something similar to: "Please make a voice call to 911. There is no text service to 911 available at this time.". Cellular providers currently treat Text-to-911 messages like any other text message. Text-to-911 does not receive priority on wireless networks and emergency texts will experience the same service speeds and delays as other text messages. Translation services are not yet available for Text-to-911, so all texts must be sent in English. Using your text messaging application, create a new text message addressed to 911. There is no need to specify multiple types of assistance; choose the most relevant assistance you require and our protocols will determine the appropriate response based on your answers to our questions. If you do not know the address or location, you may be required to make a voice call to 9-1-1 in order to expedite the process of obtaining a dispatchable location. Determining locations by a voice call will always be faster than using a text message. Do not include any attachments; pictures, video, etc. Do not use slang, emoticons, or non-standard abbreviations. Do not include other people in the text, group messages are sent in a different format that will not go through to 9-1-1. Keep your message short and within the 160-character limit. 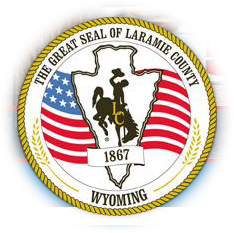 Every Text-to-911 received in Laramie County will receive the same initial response: "Cheyenne 911 please call 911 if you have the ability". If you are able to safely make a voice call at this point, do so now. If you are not, simply reply with "NOT SAFE". Our Telecommunicators will then begin asking specific questions in a specific order. As with a voice call, it is critical that you answer the questions to the best of your ability in the order that they are asked. If you do not know the answer, it is completely acceptable to say you don't know. Continue your dialog with the Telecommunicator until they tell you that you can disconnect.